Head Over Heels For Teaching: Spark Student Motivation: Finding Vocabulary Words! 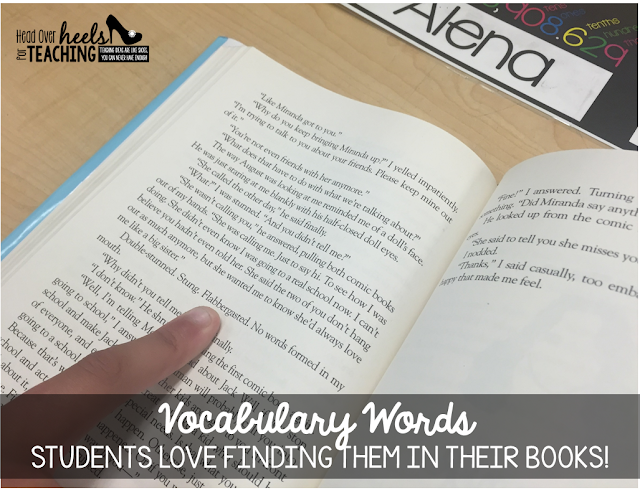 Spark Student Motivation: Finding Vocabulary Words! 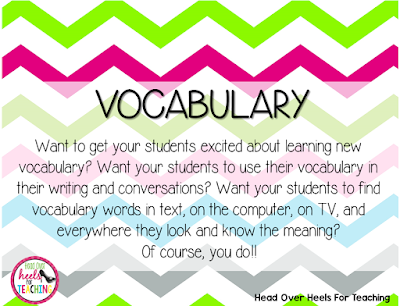 Want to get your students SUPER EXCITED about using and finding vocabulary words? I offer my students a ticket (for our weekly drawing) every time they find a vocabulary word and can tell me the meaning. I've selected words that will appear in their daily reading, which makes finding them exciting because they're everywhere! I created my list of words my first year teaching because we had a horrible program with our reading series and I've used it ever since. I wanted words that my students would use in their conversations and writing. Also, I wanted them to see and understand them in their own reading and feel great about their word bank they've built! Are you sure you're ready for all this vocabulary finding ??!! I'm so impressed after I look at all the examples I've captured of my students finding our words! 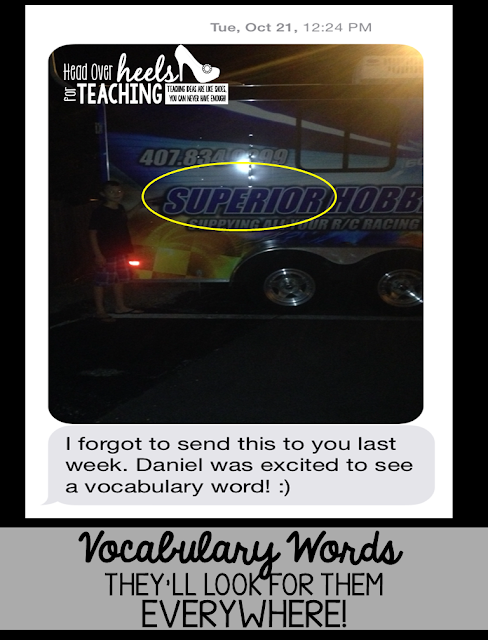 Here's an example of one of my students finding a vocabulary word. I'm giving out A LOT of tickets this year because my class can use all our words from last year since I looped with them. But, isn't that the point? It makes ME so excited when they race to show me a vocabulary word they found! I want them to LOVE vocabulary and it shows me they enjoy learning new words and the activities we do to learn them. If they find them at home and mark their books to show to me the next day, they still get tickets. OR...they can take a picture of them and text them to me (which is way more fun!!)! These students wrote the meanings under the words they found. They will find them when they're on the computer!! It counts no matter where they find them!! 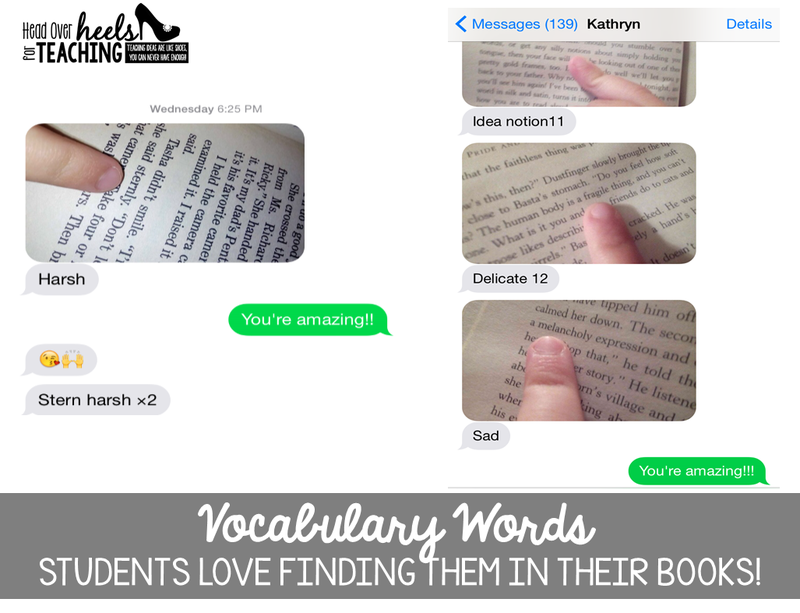 They'll even have their parents text pictures of vocabulary words on buses to prove they found them! They even find them on TV!!!! Do you see the effort by all these students??!! I've never had a reading program list of words that did this for my students. 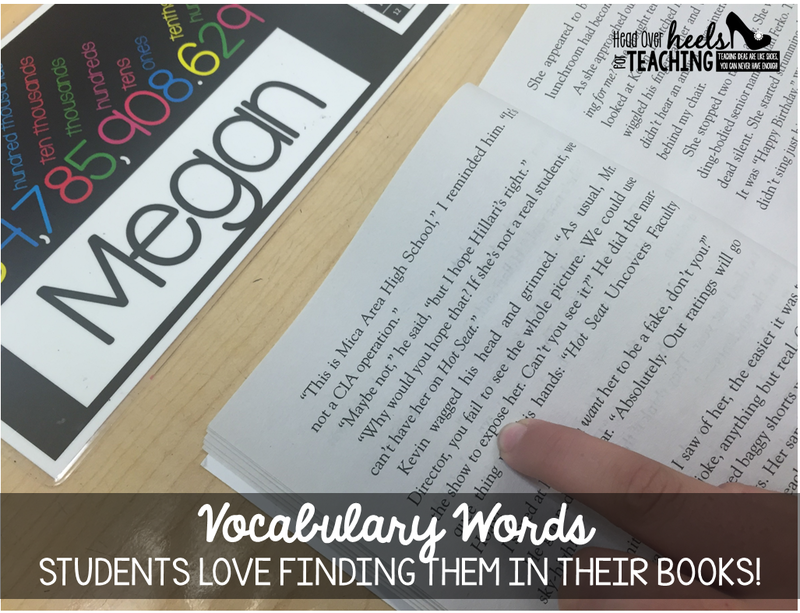 Such a simple concept to reward students for recognizing vocabulary words and knowing their meaning with tickets. My students LOVE it! 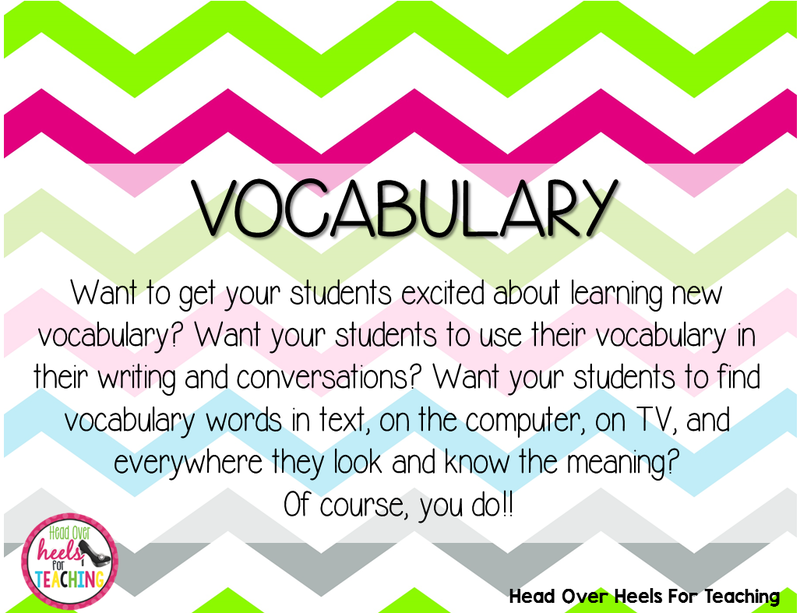 You can do the same thing with your vocabulary words! This simple idea encourages them to be "on the lookout!" It works wonders! I promise! 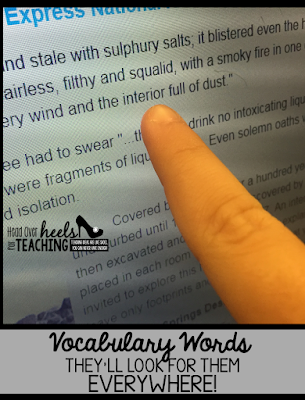 For more vocabulary activities click here. Oh wow I love all of the effort by the students....they seem to be having so much fun! If you don't mind me asking, what do you do with the tickets? What type of things do you draw for? I really like your idea. This is awesome! I am so totally doing this! Do you give your personal cell phone number or do you use an app for the texting? I give my personal cell number. (They actually get it from their parents!) :) Most of my students are texting me from their parents phone, I have a few with their own phones though. I've given out my personal number for years and have never had a problem, or a parent/student abuse it​. I like the open lines of communication. Guys, I'm not a teacher myself, just a parent of a naughty 8 years-old. And I can't stop admiring you here. Tell me, where you manage to get all that motivation and love to work? After a day in https://alltopreviews.com/ I would go crazy if all 20 students from Evan's class would have texted me!